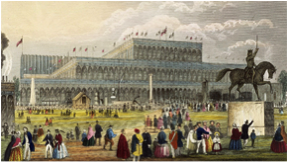 The Great Exhibition excited a nation and promoted Britain to the world. Six million people visited this world fair in under five months and its story impacted on the entire country. Even a pair of Finstock-made gloves were exhibited!